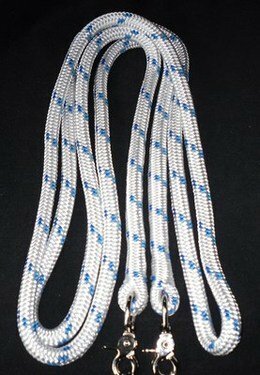 Finesse rope reins in a 13mm diameter doublebraid yachting rope. Scissor snaps correctly spliced into the rope to give added weight at these points. Great for Natural Horsemanship ridden work. Available in a wide choice of colours with brass or nickel plated steel scissor snaps.